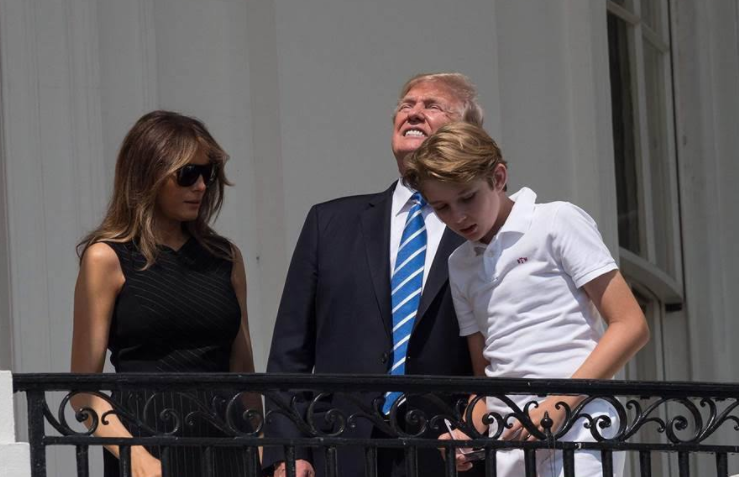 Washington DC - Donald Trump has been sent to the hospital due to serious retina damage from having stared at today's eclipse for 48 seconds. He is expected to recover and gain partial eyesight by Wednesday. "The mainstream media kept claiming it was bad for your eyes so I figured it was just more of their fake news propaganda" said Trump. "Now I know it was a trick to get me to stare at the sun after all. I'm treated so horribly, even by the liberal sun. But if I don't get my eyesight back, at least I'll never have to see Carly Fiorina's face ever again!" "I don't understand. He was more interested in getting us to create a way for him to Tweet using braille than having his eyes treated" said an ophthalmologist who commented anonymously. "When I insisted we focus on his vision, he fired me."